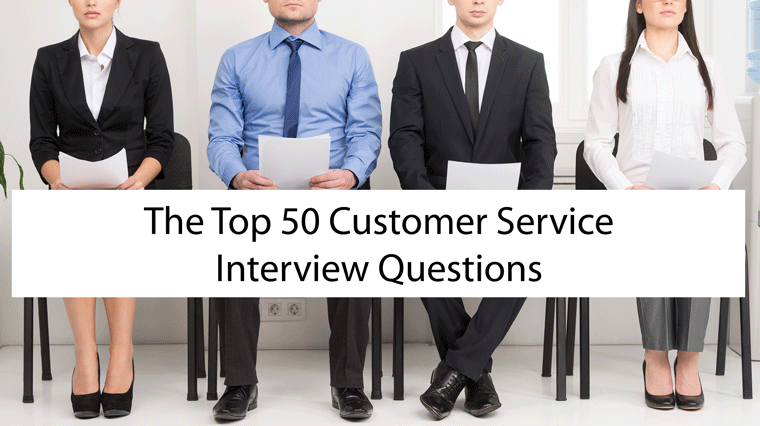 In this article we have asked our panel of experts for the top customer service interview questions. We have also included pointers and guidance on how to deal with them. These questions cover four common bases from classics, team leadership, examples and role play as well as customer service – know-how and competency. Also, if you are recruiting for staff you may find that this provides you with a few tricky questions to ask. This group covers generic interview questions that you will likely be asked, no matter what job field you are interested in. You will probably be asked one of these questions early on in the interview, so it is important to be prepared to face them and get yourself off to a good start that will boost your confidence as the interview progresses. Whichever direction your answer ultimately takes, be sure that it has some relevance to your professional endeavors. You should also refer to one or more of your key personal qualities, such as honesty, integrity, being a team player, or determination. Know what the company are looking for and the potential job available, and align this with your career to date. Highlight your relevant experience, goals and aspirations in line with the role, to showcase why you are the best person for the job. Wherever possible be positive, even if your role was short term or didn’t quite work out as expected, as it will have added extra experience or skills to your career history. “I have been told that I am an excellent communicator, especially on the telephone, but I feel I have good interpersonal skills generally and find it easy to get along with all sorts of people”. Many interviewers will ask you to name your strengths and weaknesses. Typically, people find it easier to express their strengths, but struggle when it comes to identifying even one weakness. Part of the reason for this may be that they do not want to disclose a particular weakness, as this may result in them failing to be successful in getting the job. A good initial answer (bearing in mind you are applying for a telephone position) to the ‘strengths’ part would be “I have been told that I am an excellent communicator, especially on the telephone, but I feel I have good interpersonal skills generally and find it easy to get along with all sorts of people”. A good example would be “I am a very conscientious worker and I get irritated by colleagues who don’t share this value and take any opportunity to take time off work or do the minimum required when they are there. I am learning, however, that these people generally get found out and I leave it to my supervisor to recognise these problems and address them”. An answer such as this would probably make the interviewer think “well that’s not such a bad thing, actually”. Having given your strengths and weaknesses, you are then likely to be asked to give examples of when you have displayed this behaviour. Your credibility will plummet if you cannot give an example of the strengths you have stated. With the strengths listed above, a good response would be: “In my present job, I am often asked to handle difficult customer situations because my supervisor knows that I will handle them politely, efficiently and diplomatically and therefore only a few cases would ever get referred to her. Also, because of my strong interpersonal skills, I have often been asked to buddy-up with new team members, to make them comfortable in their new role at the earliest stage possible”. When asked to give examples on the weaknesses, you need to think very carefully, and plan in advance what your response will be, as many people dig a very deep hole here. A good response to the weakness quoted would be: “I had a situation once where I knew that a more experienced colleague was regularly absent from work following nights out drinking, but she would say that she had a migraine. When this happened my workload increased significantly. I undertook this willingly but I must admit I was annoyed that this person was taking advantage of me and the company. However, I decided to let the supervisor do their job and just get on with mine. In quite a short space of time, the issue was addressed and the problem was resolved”. Problem: When I was first promoted to team leader, I consistently struggled to ensure that my team achieved their sales targets on a Friday. Solution: Acting on the advice of the other team leaders, I implemented a combination of incentives over the next few weeks and successfully boosted my team’s sales figures. Whilst this question does open the floor for you to recite how you once doubled your team’s sales figures, employers are equally interested in hearing about how you have developed and maintained a strong professional network, or how you pride yourself on your reputation for being reliable and hard working. Talk about the benefits the company has to offer and how they suit you at this point in your career. For example, if you are joining the company as a graduate, discuss how you plan to utilise their highly-structured training scheme. Also comment on the company’s reputation and try to make reference to a recent success you have seen on their website. Try to think about how you would describe yourself if someone asked you for your strengths, then relate these to what people say about you; peers, agents, managers and stakeholders. Have three or four at the ready, ideally in line with the role you are being interviewed for. Have examples or situations ready, in case your interviewer wants to drill down as to why you think or believe these are your key strengths. Motivating others and promoting a positive atmosphere in the office. Tread carefully with this question. Whilst the truth may be that you only get out of bed every morning in order to pay your rent, this is not what your potential employer wants to hear. This question gives you an opportunity to discuss what has attracted you to this line of work and what inspires you to persevere through the tough times. In a sales role, this could be the adrenaline rush of meeting daily targets, whilst in a customer-service role, this could be the personal satisfaction you gain through helping people. Morale is infectious – whether positive or negative – and, when working in a team-orientated environment like a call centre, it’s important that there is always an air of positivity around. It’s therefore vitally important to ensure that if you’re having a bad day, you contain this and don’t let it influence the morale levels of the team, and in turn the productivity and efficiency of the overall operation. This question set is particularly important if you are applying for a management job in a customer service environment, but also if you are looking for a more basic customer service position. This is because every employer is looking for someone who can build morale, provide guidance and promote values, so showcase yourself to be a leader and not a follower. Here your potential employer wants to know that you are capable of organising yourself properly and ensuring that nothing gets forgotten. Do you keep a diary? Use Google Calender? Write daily to-do lists? Use wall planners to keep track of out-of-office appointments? Whatever you do, now is your opportunity to tell them! Firstly, know what you think great customer service looks like. Look for situations and examples when you had an idea, a client, or customer call, where you personally went that extra mile. Did you change a process or procedure? Or perhaps a staff member you mentored, coached or advised delivered a great customer service win or result for your team, brand or business. Fundamentally, if you look under the skin of the best teams and call centres, they do have certain things in common: clear communication, consistency, fun, performance management, leadership, engagement, incentives, etc. Think what made up the best team or company you have been a part of or have seen. Have examples to back up any statements for how you would play a part in, or create, this team or environment yourself. Change is an essential part of life in any call centre environment, as the industry strives to achieve best practice for their customers and stakeholders. Have some examples on how you personally managed, or were affected by, some change. What was your focus, what were you aiming to achieve and how did you deliver the outcome? Know what the problems encountered were and what was learned through and following the transformation. Here your potential employer is looking to see that you are capable of planning your time effectively. This question helps your interviewer to gauge whether you understand your role in your current job, and how your efforts contribute to the goals of the organisation. The company I currently work for publishes an annual report of KPIs relating to the goals they hope to achieve that year. I extract the company goals that are relevant to my department and break them down into weekly objectives. I then use these objectives to ensure that my team is constantly contributing to the overall goals of the organisation. This question requires you to understand the benefits of setting SMART (Specific, Measurable, Achievable, Realistic and Time-bound) objectives and developing action plans. In line with the over-arching goals of the company, I would set personal goals for myself and my team which I would subsequently break down into weekly SMART objectives. I would monitor these closely through general in-office communication and a series of team meetings, as well as through scheduling individual appraisal meetings at 3, 6 and 12 month intervals. This is your opportunity to assure your potential employer that you are capable of working in line with your objectives and getting the job done on time. This is a bit of a tricky question to answer, as how you answer can determine whether your interviewer thinks you are too strong-minded or, worse, too sheep-like in your approach to work. An ideal answer will show a degree of balance. Throughout my term of employment, I keep a constant note of any areas that I feel can be improved. But I only present these concerns to my boss when I have developed in-depth and realistic solutions. The frequency of these meetings is determined by how stable the company is. If the company implements several changes throughout the course of the year, I am more inclined to provide regular feedback to my boss. This question is asked to determine whether or not you are going to bring something to the team. In an ideal answer you will confirm that you are creative in your job role, and markedly so compared to some of your colleagues. You should then proceed to give examples which demonstrate this. This question gives you the opportunity to tell the interviewer about how you developed a Monday-morning prize-giving incentive to get your team fired up for the week. Or how you introduced daily staff meetings to keep your team engaged with the goals of the organisation. Or implemented a buddy-up training programme to help your new recruits settle in faster. I introduced ‘Sugar Fridays’ – giving my team sweets and treats to get them through the Friday slog. An ideal answer to this question will demonstrate that you are capable of monitoring a situation as it evolves. Whilst working in a call centre as a supervisor, I introduced ‘Sugar Fridays’ – giving my team sweets and treats to get them through the Friday slog. This question is set to test your ability to identify and analyse customer insight, trends and data, and drive continuous improvement, by identifying and understanding the root cause. The interviewer will be looking for an example of where you have taken this insight and subsequently developed, implemented and improved your sales process. This could be through the introduction of training, post-sale procedures, a change in marketing communications, or other process improvements, to ensure that the cause of any future complaint is eradicated. This question is especially important if you are applying for a management position. 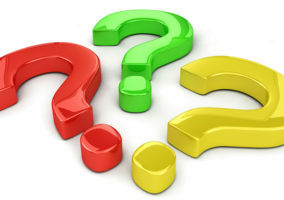 An ideal answer will demonstrate that you are capable of assessing a situation and implementing improvements. I started to notice that a lot of customers were complaining about feeling patronised by my agents. In response to this, I listened to the calls these complaints stemmed from and realised that words such as ‘wonderful’ were being over used. I then had a meeting with the worst offenders in my team and suggested changes that they could make to correct this behaviour. After this meeting, customer complaints reduced and sales increased. Are you interested in reading about the Typical Roles in a Call Centre? The answer to this will depend on the job you’re interviewing for and your experience. I would recommend thinking about a specific instance and then discussing this in detail. Outline the process stage by stage and, if there are areas that need improvement, focus your answers on the solutions instead of the problems. As a leader or manager charged with delivering excellent customer feedback, you will know how important it is that customer feedback and insight are monitored, measured and acted upon, whenever appropriate or necessary. But how about your agents? This question is very much aligned to your engagement, coaching and development skills. You need to think about the culture, communication and interactions you have with your agents. Discuss how you impart your knowledge and experience to your agents and how you ensure that they can continue to develop the confidence, skills, knowledge and habits that will drive excellent customer feedback with every interaction. Only you will know if your team really trusts and respects you. Respectful employees will usually make you coffee, hold a door open for you, properly carry out tasks assigned to them and rarely undermine your judgement. To maintain this level of respect, you should make time to recognise your employees’ efforts, occasionally explain how you reached a solution to a problem (this can help with buy-in for larger changes or projects) and do your best to be consistently level-headed and successful in your judgement – as it only takes one slip-up to undermine your credibility. At some point in your interview, you will have to answer a question that prods you to give an example or take part in a role play situation. This group of questions will provide you with guidance on how to deal with questions of this nature and challenge you to think of scenarios where you have demonstrated attributes that are closely link to the job description. This is often an opening question, as it allows you to use one of your strongest examples and may help you relax. For the interviewer, it is also an indication of where your natural focus or achievements may be – people development, process, cost reduction, change etc. If possible, think work related. There will hopefully be a number of things you are most proud of in your career to date. Think about your key achievements; were they commercial, people or process orientated? What was the cause and effect? How were you involved, what was improved, saved or developed? If you are short on career-based examples, use personal achievements which demonstrate the commercial skills required for the role, such as team work, commitment, empathy, determination, attention to detail, etc. These questions will more often than not be based around the role competencies. Preparation and rehearsal are key to answering these effectively. You will need two or three instances of how you may have: delivered change, managed conflict, improved performance, reduced absence, increased customer satisfaction, etc. You also need to be able to clearly and concisely communicate the problem, solution and outcome. This question is (again) in the format of competency-based interviewing, so remember to outline the specific actions you took to motivate your team, as interviewers want to see evidence of hands-on experience. Make sure to describe all processes undertaken. For example: Did you use incentives to motivate the team? Did you implement training programmes? Did you improve internal communications to help engage staff? Did you implement or revisit career development plans to make the team feel valued? Did you take the time to understand each individual’s motivations? Be clear and precise and be sure to convey any previous first-hand experience you have – they will want to feel confident that you can handle similar issues within the new role. This question is a typical example of competency-based interviewing (CBI) in practice. It is the most popular interview approach, based on the premise that future performance can be predicted by past behaviour. The best way to prepare for CBI questions is to revisit the job description and person specification before your interview. You should then ensure that you have covered all bases and can comfortably provide examples for each competency. You must also be able to describe the particular scenario, the actions you took and the impact it had on the business. Approach this particular question by outlining the processes you followed to investigate and resolve this issue. It is also important to explain the outcome. For example, you may have set an agenda of required actions following on from the meeting you held with the particular team member – can you describe what that was? If you created a performance plan that included clear training and development objectives make sure you say so. Always finish by explaining how the action you took impacted the business. For example, the team member started to meet all targets and bring in more revenue. 35. 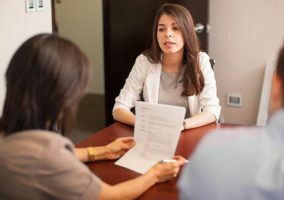 Within the interview process you may be required to perform a role-play. A popular example of this is being asked to role-play an escalated call with an unhappy customer. It is vital to have clear objectives before initiating conversation with the customer; what is your end goal? Ensure you are aware of the parameters, rules and regulations within the company. For example, if the issue is over money, can you refund it? What else can you offer to pacify the customer? It is important to remain calm, confident, be clear and always remember to ask questions. The interviewer is looking for a patient and composed response. If you are still unsure about how best to approach role-plays contact your local recruitment consultant who should be able to offer you thorough advice. I adopted a supportive style as I raised my concerns with the individual regarding their approach with customers, and confirmed their awareness of the business expectations regarding excellent customer service. As part of my regular team monitoring, I assess all advisors call quality in order to measure them against the relevant KPIs. When reviewing calls for one advisor, I noticed a trend where the advisor was quite abrupt with callers. I scheduled a meeting in private with that advisor, which I prepared for by reviewing supporting information (including their performance statistics for the month). I adopted a supportive style as I raised my concerns with the individual regarding their approach with customers, and confirmed their awareness of the business expectations regarding excellent customer service. I sensitively discussed with them any reasons they felt they were unable to deliver this, and emphasised the balance which needed to be maintained between quality and quantity. I adopted a coaching style to enable the advisor to work through any barriers and identify solutions, agreed reasonable and tangible expectations for improvement, arranged appropriate support and scheduled weekly meetings to review their performance against these expectations. As a result, the advisor improved their performance and now consistently achieves all targets. It’s important to think of and talk about a situation that’s relevant for the position you’re interviewing for. Ideally this will have had a positive outcome. By doing this you will help the interviewers to understand why you are a great fit for their team. In asking this question, your potential employer is looking to see that you are prepared to go above and beyond the call of duty when the company needs you. But you have to be careful when answering, as it is easy to fall into the trap of slagging off your current employer or seeming disorganised. Your interviewer does not want to hear how your current boss failed to provide you with resources or that you once pulled an all-nighter to meet a university deadline. An ideal answer will centre round the busiest time of your company’s year (i.e. the Christmas rush in retail). In your example you should outline the reason for your stretched deadline and say what you did to ensure that you met it. For example: Whilst working in retail over the Christmas period, there was dramatic increase in stock which needed processing. To ensure that I continued to complete my daily tasks over this time period, I frequently started work at 5am rather than 7am. No matter what level we operate at, we are all able to lend our experience of success to our peers – we just have to be careful not to patronise or undermine them in the process. When answering this question, make sure that you give an example that is truly constructive and had a positive outcome. This will show your interviewer that you understand how to help improve your colleagues’ performance without hurting their feelings. An ideal answer will demonstrate that you are able to support your team, even when things don’t go according to plan. For example: Whilst I was working in a fast-food restaurant, an unexpected coachload of football supporters came through the door. What followed was a hectic half-hour as the few staff we had on struggled to serve the high influx of customers. To motivate my team, I came out of the back office and signed onto a till in the middle of the counter. From that position, I could support my team either side of me with phrases like ‘you’re doing well, Kelly’ whilst helping to offset the work load. When the rush was over, I congratulated everyone on their efforts and brought chocolates in for my team the next day. This question category tests your suitability for the job, probing your customer service knowledge and judge your applicability for the role. So, expect to be asked questions involving technical terms, your understanding of the organisation and your awareness of relevant job situations. In addition, look for and use press releases, corporate and social websites. Ring the call centre to see how they handle your call: do they offer ‘up-sell’, ‘cross-sell’, how was the service? Read the job description to prepare for this question, a few key facts or some knowledge show a genuine interest and commercial awareness. Before your interview, you should have researched the company and seen a full job description. This information will be key to how you answer this question and show that you have made a considered application. You need to try and align the experience gained from your current role to some of the challenges or responsibilities of the role you are applying for. Keep it to a few clear bullet points where you can. Also think about where you are at your happiest or best. The role you are applying for may be in a new field or industry, but you may already have many of the transferable skills required. You then need to be able to concisely explain what you can bring to the role and demonstrate how some of the skills you have (making passing reference to some of the experience you have just mentioned) would make you a good fit for this role. The answer to this really depends on the job/company you’re interviewing for. However, it’s a good idea to discuss your understanding of the company, processes, products, clients and the marketplace. As a sales team leader, you’ll also be expected to deliver strong results against your personal sales and team targets. Many interviewees freeze at this question, simply because they cannot think of an example, rather than the fact that they have never dealt with one. So have an answer prepared and make sure it is one where you resolved the issue, not one where you had to refer the customer to a higher authority (it’s amazing how many people do this). What the interviewer is looking for are the skills you possess in handling difficult customers, not the intricate detail of the particular issue the customer had. How to answer the dealing with a difficult customer interview question. I listened carefully to what the customer had to say. I apologised and empathised with their situation. I confirmed my understanding of their concern. I took responsibility to resolve the issue. I offered a solution (plus alternatives if possible). I confirmed the customer was happy with this. I thanked the customer for raising the issue with me. I took immediate action following the call to resolve the situation. I remained calm throughout the whole process. (If appropriate) the customer wrote in to my supervisor congratulating me on my efficiency. This may seem like a very long answer. But by explaining the situation, without going into the minutia of the product or the complaint, your response need be no more than one minute or so. You will also impress your prospective employer by demonstrating that you already have the skills necessary to handle the most difficult calls. There will often be a question about how to deal with an angry customer. A typical question would be “Name a time you had to deal with an angry customer” or “Describe a recent situation when you had to handle an angry guest or customer”. There are two things that they are looking for here. The first is to see what your customer service skills are like. The second is to see if you lose your temper or if you can keep your cool. It may help to answer that “the customer is always right” and that it is your duty to help customers out of a difficult situation. You can describe the steps where you helped to calm a customer down, show some understanding, empathy, patience etc. Ideally use an example of where you were able to turn the customer around and then the customer was able to thank you for your effort. What you need to show here is primarily an understanding of the particular project management methodology. For example, 6 sigma or lean management. You should do this by giving an example of a project that went well, and show some of the challenges that you had to overcome along the way. In particular, it would be useful to show examples of how you managed to get the team on your side and sharing the same vision for success. If you have no experience of these types of methodologies, you should just give an example of a project that you worked on that went well. Here your interviewer is testing your ability to analyse data. An ideal answer will clearly outline the problem you were faced with, the information you extracted from the data and the changes you subsequently made to improve. Problem: The appliance-delivery company I work for was getting consistently low ratings on its delivery service. Action: I looked at all of the online feedback forms and personally phoned customers who had rated our service 0. Findings: I found that the majority of our unhappy customers hated waiting in all day for their items to be delivered. Solution: I piloted a new system where the delivery driver phoned the customer an hour before their item was due to be delivered. This stopped our customers from having to hang around the house all day waiting for their delivery. Outcome: During the trial period, we saw a marked increase in our customer satisfaction ratings and the new system soon became standard practice. Here your interviewer is checking that you are capable of working consistently towards your targets. In an ideal answer you will outline what your current targets are, then follow this up with a discussion about how you break these targets down into weekly objectives to ensure that you are consistently working towards your annual goals. Have you been asked any great interview questions? Do you have better answers to any of the questions? I always stumbled on the what is your biggest weakness. I hated that question when I was in interviews. I’m sure the interviewer saw the beads of sweat running down my forehead. On one occassion I actually said I can’t think of any and the interviewer said I need you to answer so I sat there for seemed an entire age trying to think of something my head went completely blank. Very embarrassing. As easy as some of these questions may look, they can some time put you in embarrasing situation as you are least prepared to answer them…this article is great lesson in preparing for questions that may sound simple but difficult to answer when thrown at you in an interview…Thanks to all who contributed to this article. Can the answers to the questions be more eloborated, keeping in mind that a call centre manager is going for an interview, what specifically he should answer so that its his day. Having become a raving fan of the Strength Finder system, I now have a range of answers to that tricky “what are your weakness” question and have no problem telling them the truth. My weaknesses are in areas that come no where near my working life (I’m a business analyst) e.g. sport, science, music. I do the job I do because my strengths work well in an office and in my career I avoid my weaknesses e.g. sport. So before you get this question again, stop and think, what are you REALLY bad at that you NEVER do at work – that is probably your weakness cos not many people work in areas of their altimate weakness. You will get surprised reactions to this type of answer but it will be the truth. So before you get this question again, stop and think, what are you REALLY bad at that you NEVER do at work – that is probably your weakness cos not many people work in areas of their altimate weakness. You may get surprised reactions from this type of answer but it will be the truth. Information given is highly appreciative by me. It makes me more aware/prepared for upcoming interviews. I have learnt a lot from it and will not hesitate in passing on this info to colleagues. Thanks for such valuable info!! what have done in my team that everyone tried doing but couldnt and i eventually did it. Can you tell me about a time that you were able to solve a tough problem that you encountered with a customer without referring to your direct supervisor or manager? very usefull, im alot calmer about my interview now i have a general idea of what i’ll be asked, and obviously how i’ll answer them! thanks alot!! Describe a time where you were presented with the challenge of working with or gaining information from a person with specific needs? 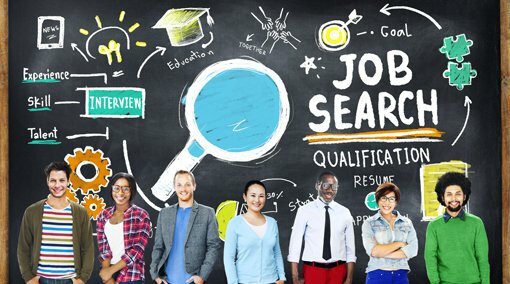 Very well explained questions, very helpful for job hunters. Great. I m a fresher n it was being little difficult for me to think how to encounter questions in an interview but to my fortune it is a privilege to get answers so directly that i feel much more confident n optimistic for attending interviews now…i am really thankful to the whole team for giving such drastic answers to frequently asked questions which just seemed simple.This would really resolve one’s issue. Questions on weaknesses and strength is mind blowing!it has actually helped me convert my weakness into strength.. I hope the team puts forward more answers to such questions which would help the applicants in mere future. VERY USEFUL QUESTIONS FOR AN INTERVIEWEE ….. These questions were really very helpful. excellent im more confident.i have an interview today hope it comes in handy n finally get my dream job. The “weaknes question” is the meanest. By now, every interviewer is already prepared for the standard answers like “i am perfectionist”. Please provide an example of when your determination or competitive spirit has been key to a successful outcome. Personal or professional examples are acceptable. Am soo lucky to come accross an info as this. I’m pretty much more confident to take on any interview. Lucky enough am preparing for one soonest. Thanks for enlightening me the more. I´m very thankful with you guys, this is a priceless info. I have a roll play as an insurance agent dealing with the difficult customer for my 2nd interview. Can you give me an idea to prepare for it. This is my second interview with AAA Club as a sales agent. Thanks in advance! This is an excellent website and tool to use for hiring and for being a candidate. the Question provided here help me a lot to face my interview. Thank you sooo much for this article! I have an interview as a customer service representative at HSBC and this helped a lot! Questions and hints to the anwers are very helpful in relation to an interview next week. I believe it will help others. For the question what is your strength and weakness? I think the best answer is th same i mean what’s your answer in strength is also your weakness…for me the best answer is FAMILY.. Thanks for this wonderful piece. its really informative. Brilliant, This will help me very much in my upcoming interview. Excellent post – both for human resource managers and people looking for jobs! A great foundation to build on or personalised answers. If you don’t have a degree, place that down as a weakness. Tell the interviewer that you always have to prove that you are capable of doing the work by trying to be the best, just like in your previous positions. If you have a degree, tell them that employers may take this achievement as a shield and not focus on personal qualities. You have more than this ‘shield’ to offer to the company. Am so happy to come across your article…..am sure i will be more confident in my upcoming interview.thank you. I have passed my 2nd interview and ready for my 3rd with a telephone call for the following day, this has been alot of information I was seeking for..thankyou you have been very helpful with your tips..
As a hiring authority, many of the questions are similar to what I ask. However, memorizing answers will get you nowhere when it comes to integrity, team chemistry and personality. I can see through most of the charades. Most skills can be taught, determination, drive and perseverance cannot. Always be honest and candid. It makes more of a difference than you may think. Great article, with a good insight into interviewers and the types / angle of questions you may get. Very interesting and helpful information. Thanks alot. Haven’t even read through everything as of yet but thought it was worth commending first. I think to be your self, scrbble nots down on paperwork, no tv no sounds a very quiet room. And say this, what is it i did my previous job each day and how i did it, what steps i took to do my job and when things got to some thing needing a repair or an upset customer its very easy the problem is the brain tends shut off when put on the hot plate, don,t let this cause to be blinded by it, its just how you human body reacts. But instead see it through, good preperation and practice and practice and practice i usual go 4 – 5 days of just running through my answers, ok yes you are in effect talking to your self, but you practice at chatting talking more and more and more, the more you do the better you will get at it, the answers to these questions have been thought out of the answers an situations you have been in, when you look and think back, to your pre jobs all the answers are there, the phone call you recieved, the upset customer, the actions you took to put it right and reassure them, how delt with a time deadline ie what did you actually do to carry that out, was it in a team, did you have help, was there obstacle what did you do to get round them, how did you plan your repair, what tools did you need, was it scheduled or instant repair, put into words what you actually do in your job, from Am and Pm and will see it was all there for you to answer, just let you brain relax and do some deep thinking. Just like im thinking right now to type this, that is some i did. Ie i used the internet to get this acroos ie the tool i used and used typing to convey the idea across to like minded people in this area of employment working with people ie in this comment page which is in affect the group of members in coming together to solve problem, ie your already actually answering what you know will be asked. Remember be strong smile have some fun with it, practice at controlling your breathing and do it each day, remember practice practice, wright it down, go online, research, and no matter how you feel spend several hours each before the big day, the more armed you are the better you will feel on the day, also you control your nerves not the other way round, breath relax, show them you know how to solve situations as that is one of the things they are observing, they are not there to embarres you, they are just trying to build up a picture, just be your self. remember practice practice pracice, see the situation in your minds eye, open up your thoughts thats teh best way to approach it and trust your self more. go for it, be strong. As a professional trainer of english job interviews and being an ex-head hunter I come across lots of advice. This article is one of the better ones and I really enjoyed reading it ad will be adopting some of your interview answers in my training material. Thanks and keep up the good work. QUESTIONS ARE A LITTLE BIT HARD BUT THROUGH THIS YOU CAN HAVE AN IDEA ON HOW YOU HANDLED EVERYTHING DURING THE INTERVIEW. Going to use these today 🙂 very good questions to ask. thank you for the information this is very usefull and for thr future purpose. Exactly what I needed before going to my final interview tonight. Thanks for the insights! With a huge number of people going for customer service posts in the call center industry, it should be important that they learn how to handle interview questions. I am part of a company that helps people get good jobs after taking a course with us and so these questions are definitely going to help in our training. Thank you for sharing these. It is best to be honest. For keyboard skills some idea of words per minute would be a good idea. Really good.. helpful article with detailed answers..GOD BLESS YOU.. This can help to those people who wants some more difficult questions .. anyway this is amazing, it helps me a lot ! very good questions thank you for the insight..it is thought provoking..
Why do you want to work here? When this question is asked, many interview candidates make the mistake of rambling how they aren’t getting growth in their current organization which is why they are making the switch. You genuinely want passionate people to join your organization rather than someone seeking an escape route. This is so very helpful and is going into my bookmarks. thank you so much for this article. this really gave me insights to be confident and be ready for my first ever job interview! whew…hope it will work out well. haha. 1. CONFIDANT YOUR ABILITY TO ACHIVE. i read whole and i m sure it will help me in future. I have been read your 50 interview question for recruiting staff. Thats question maybe I am use to my new recruit staff for my company. I hope I will find the best staff for my company. Thanks for your helpful tips…. This is really good. I have learnt a lot by simply skimming through ua interview guidelines. These questions and reply are great ,thank you so much.